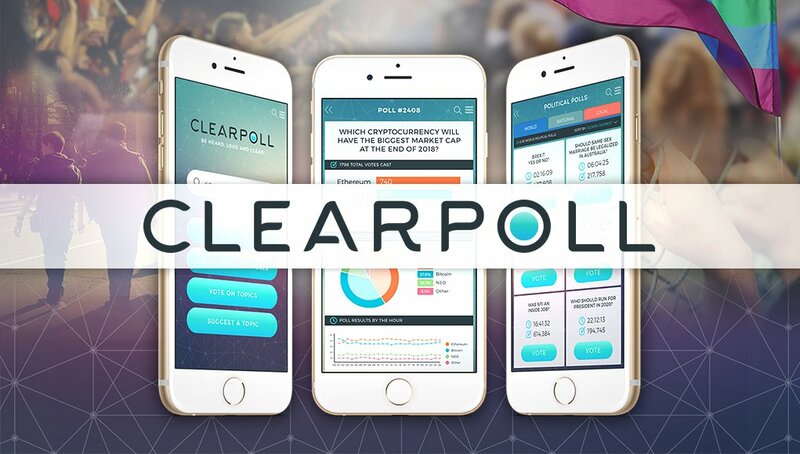 You may have heard the buzz about ClearPoll – the decentralized social public opinion poll network, set to launch in August this year. You may not, however, be aware of one of their latest and arguably biggest features. ClearPoll User Rewards has been announced and is set to boost mainstream interest in cryptocurrency in a big way. ClearPoll is a undoubtedly a mainstream application. It aims to solve the problem of inaccurate, manipulated or censored public opinion poll data such as the poll results we’re frequently exposed to in the media. By use of blockchain technology, ClearPoll poll results and votes are secured and cannot be tampered with. Users can create polls, and vote on any topic they like. ClearPoll User Rewards is a system that rewards users for creating great polls. They earn points for every vote their poll receives, and those points are converted into ClearPoll Tokens (POLL) at the end of each month. All users will see a token balance in their app, and be encouraged to create a wallet in order to receive the tokens. This gives great exposure and an introduction to cryptocurrency, to your everyday app user – and a positive experience as they are receiving something for free. 50% of all ClearPoll revenue will be given back to the users in the form of POLL token rewards. Social media experts have applauded ClearPoll as a concept, and a very high number of users is expected within a short period after launch. The launched product will include Private Polls that require a pin code to vote, Star Polls allowing celebrities to poll their fans, Sponsored Polls for market research and many more great features. The future is bright for ClearPoll, a rapidly growing Australian based team with vast experience developing apps, with over 10 million users across their previous releases. POLL tokens can be obtained from KuCoin, Cryptopia, IDEX, Yobit and EtherDelta and the current market cap is a very modest $4.5M, with a circulating supply of less than 7 million tokens. Under the radar, but gaining momentum quickly with social media numbers and token holders almost doubling over the past month. ClearPoll are set to undertake their pre-launch marketing campaign from June onwards, with celebrity endorsement set to form part of the campaign. To follow the latest news and developments for ClearPoll, check out clearpoll.io.